HomeeGreenRoofingWhat Makes Acrylic Roof Coating the Clear Solution? 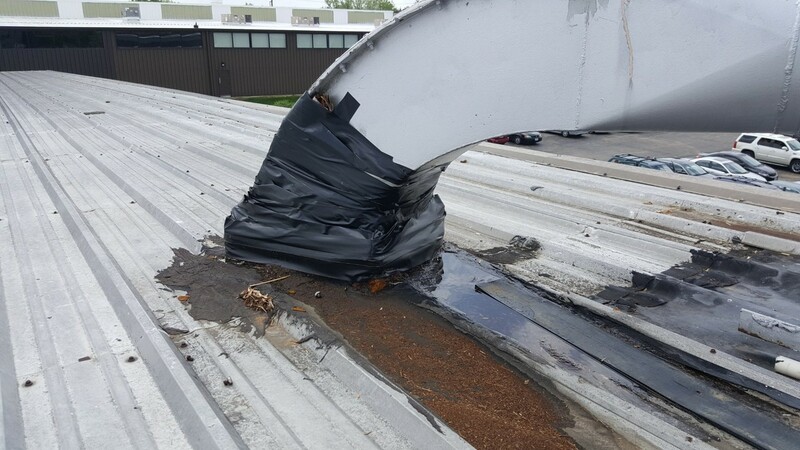 Many business owners and facility managers make the mistake of assuming their roof is a wear item. This can be a big missed opportunity to reduce capital expenditures and energy costs. 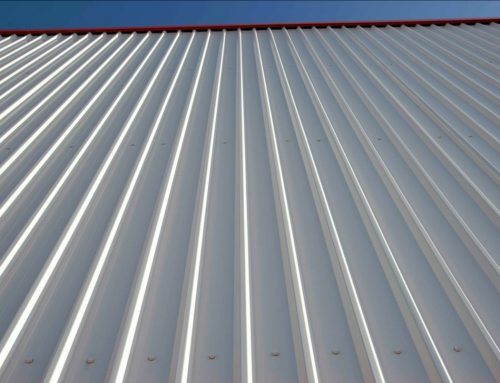 A commercial roof is best viewed as an investment as it’s one of the biggest capital expenditures you will face. 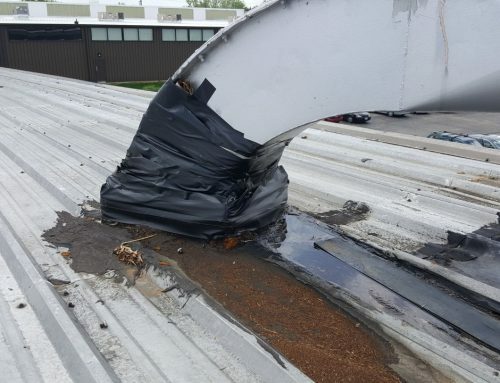 Rather than repairing the roof when it develops a leak, the better approach is a proactive strategy that reduces the risk of premature roof failure, unexpected repairs, interior damage, and equipment damage. An acrylic roof coating is the cost-effective way to protect a new roof or restore an aging roof to extend its lifespan by years. Here’s why an acrylic liquid-applied system is the smart decision for your roof. No matter what type of roof you have, an acrylic polymer roof coating offers excellent adhesion with superior water protection. Acrylic roof coating systems are able to withstand a wide temperature range while remaining flexible. The liquid applied system will contract and expand with the underlying roof material without cracking or tearing. Most acrylic coatings are white for superior reflectivity. 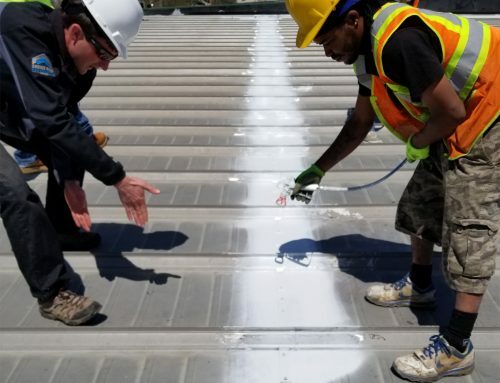 Unlike a silicone roof coating, which loses up to half of its life very quickly and discolors over time, a white acrylic coating will retain its color and reflectivity. The high reflectivity of an acrylic roof coating keeps your roof substrate cool to reduce your energy costs. A fluid applied roofing system can potentially reduce the surface temperature of your roof by 50 to 80 degrees Fahrenheit to reduce heat transfer into the building. Acrylic liquid-based roof systems are water-based and do not require the use of harmful solvents like silicone systems. Because acrylic systems have a low toxicity, they are easier to work with and there are no harmful or noxious fumes which can be a problem with a silicone system. A liquid-applied roofing system can be a cost-effective alternative to replacing an aging roof, but it can also be applied on a new roof to increase its reflectivity and longevity. 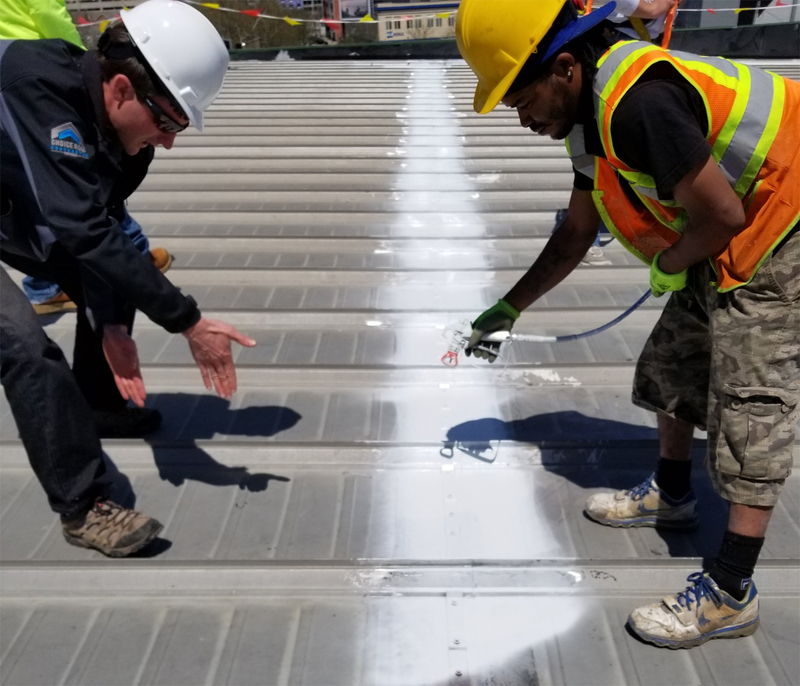 Liquid-applied coatings can protect, restore, and extend the life of an existing roofing system while adding almost nothing to the load on the roof deck. 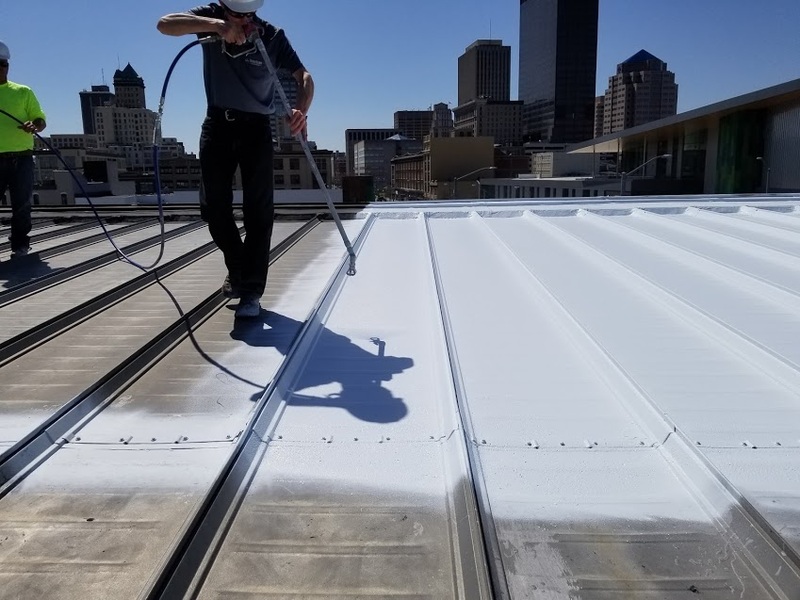 An acrylic roof coating isn’t paint; it creates a seamless yet flexible roof membrane that can eliminate the source of roof leaks, particularly around seams and fasteners. Once an acrylic coating is applied, it creates a completely waterproof membrane that will last for years before a new coating is applied. While silicone coatings last longer, they are hard to maintain and costly to install. When silicone wears out, it must be stripped so a new coating can be applied. Acrylic is more affordable to install with a lower life-cycle cost. When an acrylic coating does wear out, it can be easily cleaned and recoated. Depending on your roof, a liquid-applied system can be applied by brush, roller, or — more commonly — an airless sprayer. 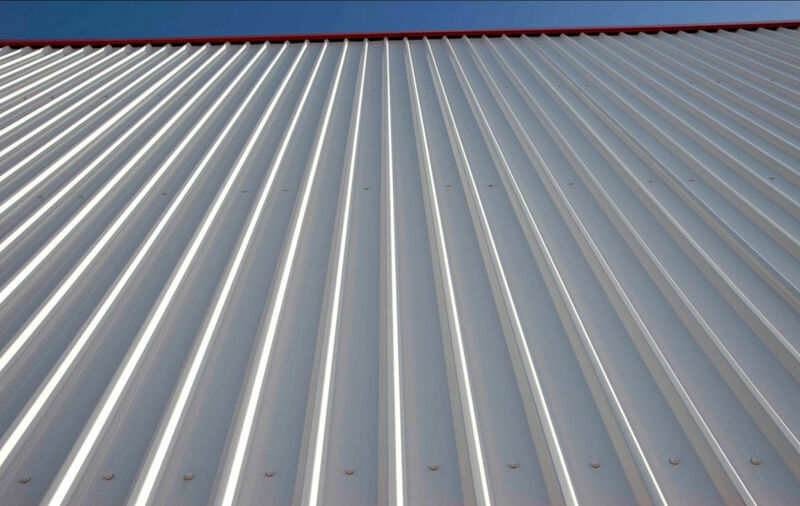 An acrylic coating can be applied to your roof without disruption to your business to quickly recover your existing roof without the cost and hassle of a roof replacement.